Vitiligo is caused because of some defective food style also. The food we depend on has to be providing enough support for the entire boy and also to the immune system. The working of a immune system has to be maintained by eating the essential foods or it may bring in many damages including vitiligo. 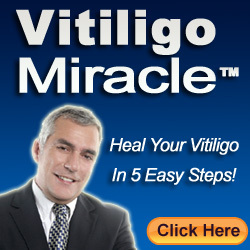 It is well known that auto immune deficiency can result in vitiligo. Further there are proven effects of the vitamins in treating vitiligo which makes it clear that vitiligo can be controlled by eating healthy. Along with proper treatment, supplements and perfect diet it is possible to cure vitiligo which can be reversed if not following these procedurals.